Wing span (spanwijdte) 1829 mm 72"
Fiberglass fuse and balsa built -up wing. Wing Covering Material: Covering, painted, decals applied and clear coated. The aircraft has a beautiful flat, non-glossy finish. This is superior to glossy covering materials. The covering material is a brand name covering which has a special paint adherant layer. The covering goes on clear, and is then primed and painted, then clearcoated. Rotating retracts: including alloy wheels, oleo struts and retract system. Incorporate all of the latest design improvements. 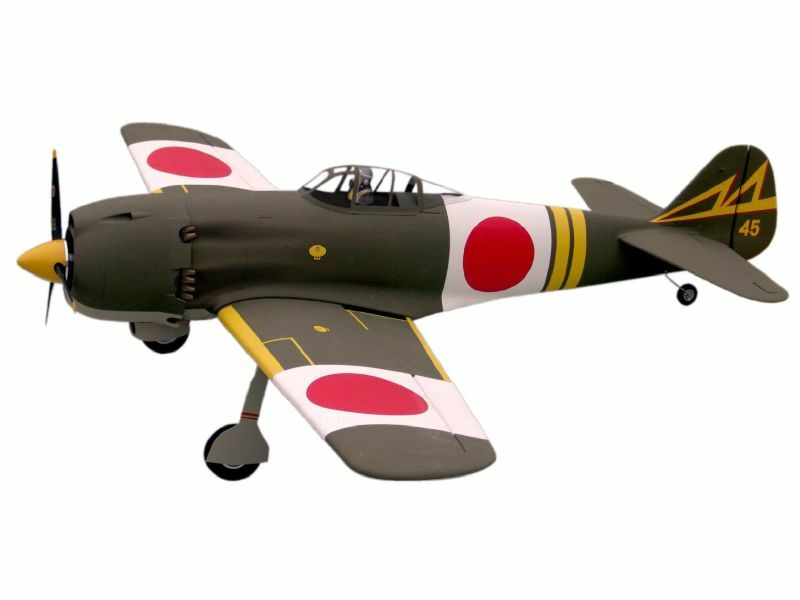 The Nakajima Ki-84, known as the Type 4 fighter by the Japanese army, was nicknamed the 'Frank' by the <?xml:namespace prefix = "st1" />US pilots who fought against them. 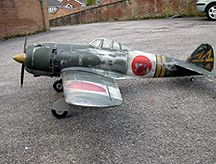 The aircraft was designed as a replacement for the Ki-43 'Oscar', which was just entering service when the Ki-84 design process started in 1942. The design imperative was to improve the already capable Oscar by increasing its armament, improving its climbing performance and making it more durable. 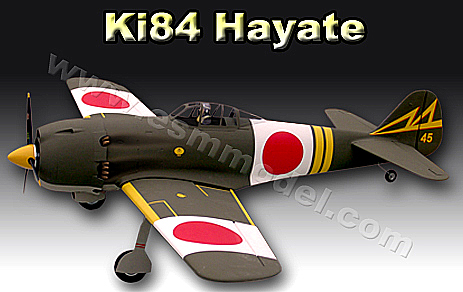 The Nakajima design team achieved these ives and produced a very capable fighter. However, the engine design had a very complicated direct injection system which was difficult to maintain, especially late in the war, with US air efforts making resupply of remote Japanese outposts difficult. While it was probably the best Japanese fighter, it could debateably outclass a mustang, these maintenance issues made them difficult to keep in the air. Close to 3000 were made and saw combat in China as early as March 1944. Most were utilized in the Phillipines and in the defense of Okinawa and Japan. 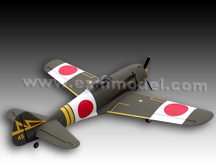 This model is based on an aircraft which was operational with the 47th Flight Regiment, 3rd Squadron, Narimasu Airfield in February 1945. 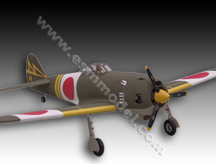 Un with German, US or British pilots, it is difficult to find information on Japanese pilots. Anyone with information on the specific pilot of this aircraft can pass it on to us by using the contact form on the website. This information would be greatly appreciated.